The nomadic musician looked fondly upon the latest of the completed instruments – a mouth harp carefully crafted by splintering the rib of a cow, or was it a horse? No matter, the sound it made when it was plucked was beautiful – somewhat similar to a flute. Three more of the instruments lay on the bench unfinished…a state they would retain for the next 1,700 years. Professor Andrey Borodovsky, of the Institute of Archaeology and Ethnography in Novosibirsk, part of the Siberian branch of the Russian Academy of Sciences, announced the discovery of five mouth harps. 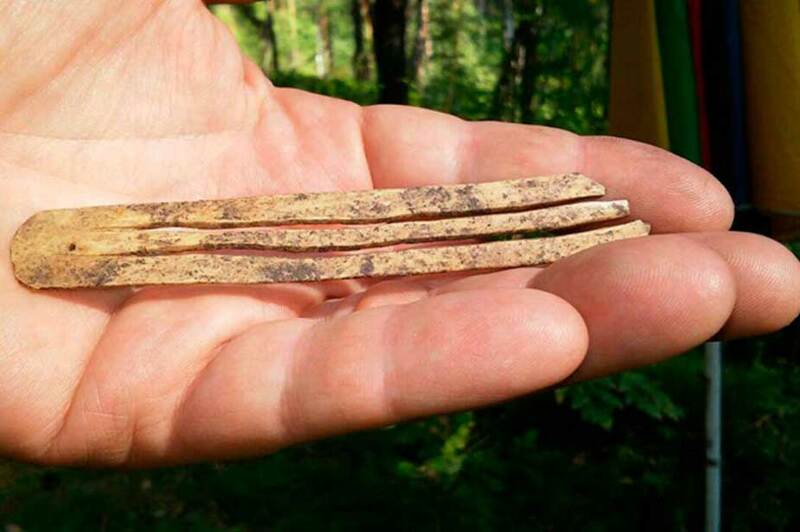 Also known as Jew’s harps (though there is no connection to Judaism) or jaw harps, Siberian Times reports archaeologists found the musical instruments at two sites of the Altai Republic region of south-central Russia. National Geographic reports the mouth harp Borodovsky played has a sound similar to a Renaissance-era instrument known as a flageolet, a flute-like instrument. The working mouth harp measures 4.3 inches (11 cm) long and is 3.4 inches (8.6 cm) wide. A musician playing the mouth harp would place the tongue/reed of the instrument in his/her mouth and pluck it with a finger to produce a sound. The Altai mouth harps were created by splintering the middle part of a cow’s or horse’s rib into two parts. This differs from ancient mouth harp manufacturing practices in Mongolia and the Tuva region of Russia, which involved using materials such as deer horns instead of ribs. Daily Mail points out that mouth harps are among the world’s oldest musical instruments and they were popular in Oceania and Asia. 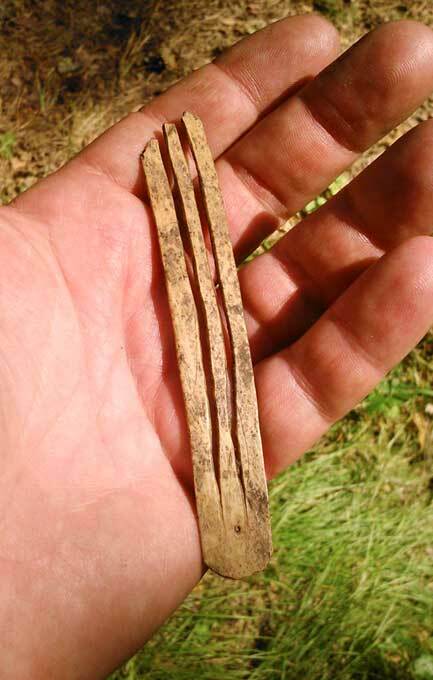 In general, traditional non-European mouth harps were cut from a single piece of bamboo or wood and their European counterparts generally were made as a pear-shaped metal frame with a metal tongue. Researchers believe the musical instruments found in the Altai Republic were made by Maiminskaya cattle breeders. These individuals were members of the nomadic Hun group – a powerful warrior empire that originated in Central Asia and spread across modern-day Mongolia, Kazakhstan, northeast China, and southern Russia, as well as into Europe – where they became a threat to the Romans. Did the Roughly-Hewn Stone Throne at Torcello Really Belong to Attila the Hun? Read more about Did the Roughly-Hewn Stone Throne at Torcello Really Belong to Attila the Hun?